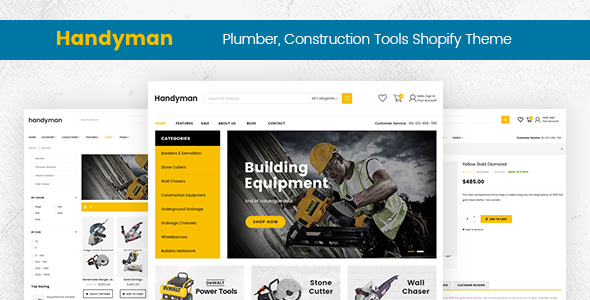 Handyman is a responsive Shopify theme designed specifically for any niche like accessories, technology, miscellaneous, entertainment and others. If you like Handyman, please don’t forget to rate it 5-stars! Revolution Slider Ready: The award winning Revolution Slider is included with the them worth $19. This beautiful responsive slider allows you to create stunning effects for your site.